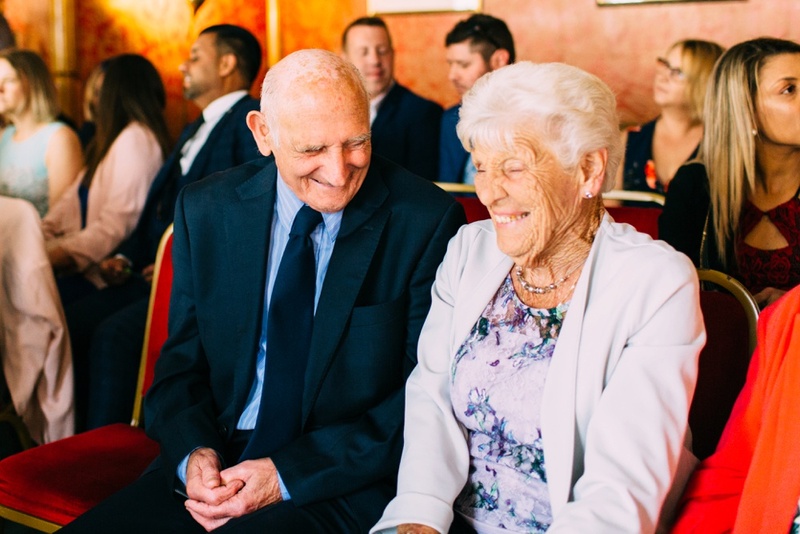 It’s safe to say that I loved every minute of Dayna and Ross’ Royal Pavilion Brighton Wedding, which was just what every wedding should be- full of laughter, laid back, small and intimate with only their nearest and dearest present. 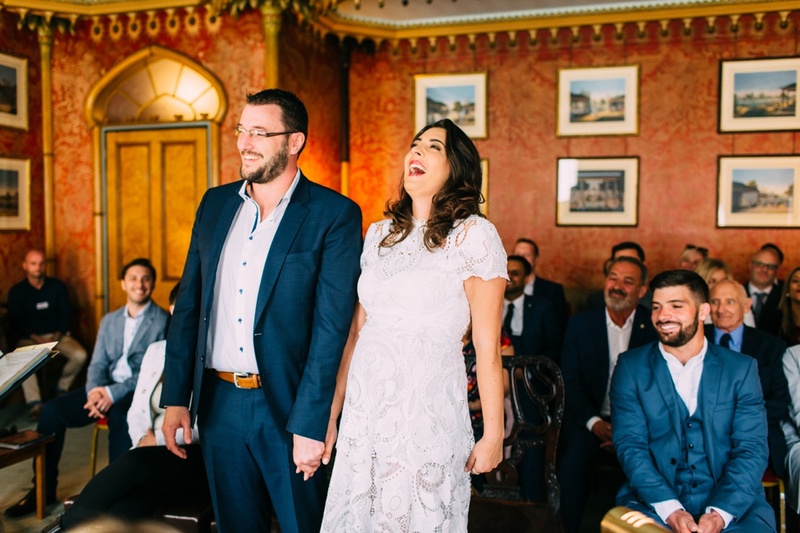 They decided to make their wedding a two day celebration, with a small wedding day on the Friday, and a huge party at a pub in Kemp town on the Saturday. I think more weddings should last longer than a day, one day just isn’t enough as the time flies by so quickly. And, well, simply why not?! Following the wedding ceremony is the gorgeous Red Room at the Royal Pavilion, the couple and I took a few minutes to get some snaps in the Music Room, and then joined everyone else on the Kings Lawn at the back of the building for group and family photos. I’ve lived in Brighton for nearly ten years and I’ll never tire of how fabulous the Pavilion is. If you’re planning on a small wedding, you should defiantly consider a Royal Pavilion Brighton wedding ceremony. We then took a stroll along the seafront to their reception venue, which involved an impromptu ride on the carousel- the whole group jumped on, led by Dayna’s nan! I rode backwards with my camera in one hand, and the other gripped onto the guest sharing my horse to stop me from falling off. Their family and friends were just wonderful and so fun to capture. To top it off they’d booked the new and highly acclaimed restaurant Murmur on the seafront near the i360. It’s modern British food, specialising in fish. What better way to enjoy a summer wedding drinks reception than in the sunshine next to the beach. And the food there was to die for, I was dreaming about their Lobster croquettes for days and had to book a return visit for a birthday a few weeks later…. mmmm. At night the old pier pillars light up which we made good use of for the final few shots of the day. 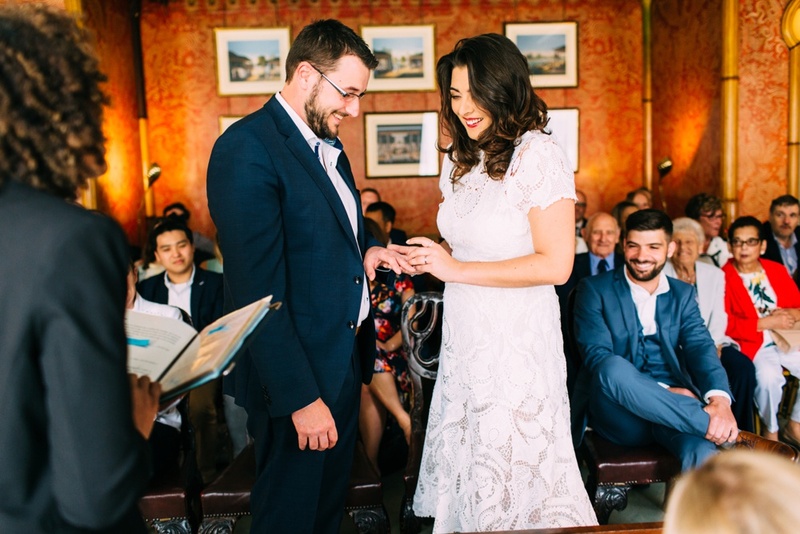 If you’re considering a Brighton Wedding and want some more venue ideas, I recently wrote this Brighton Wedding Venues Guide.